It is an adorable double faux fur pom baby bear hat bonnet with ties. It is available in sizes from newborn to toddler and so stinking cute!! 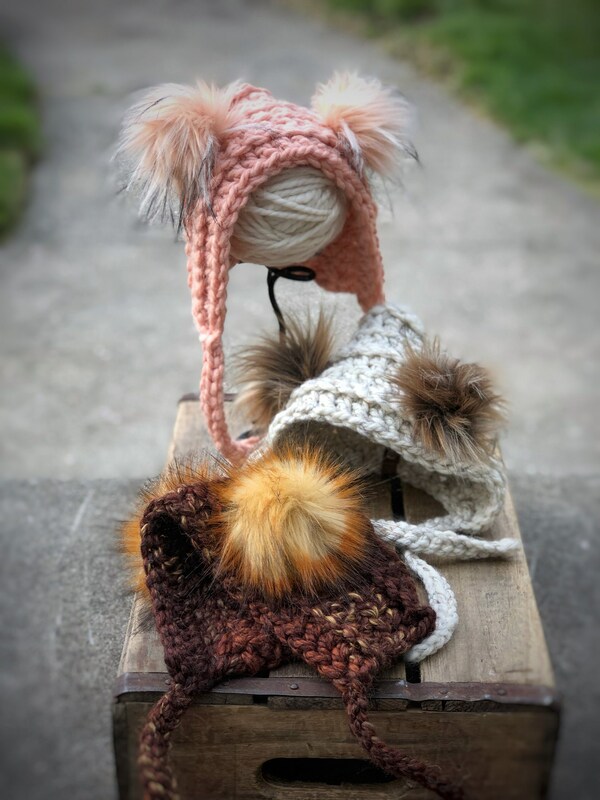 The poms are permanently attached so the hat would need to be carefully hand washed if necessary to avoid getting the fur wet. If the poms do get wet they can be dryed out and fluffed up with a hair dryer. Made to order, please allow up to 10 business days for it to be made and ready to ship.